This summer lacked a significant comedy. The Hangover Part III tanked, and The Heat earned a quiet $153 million, but the season didn’t produce a zeitgeist-changing gutbuster that’s sure to have staying power. 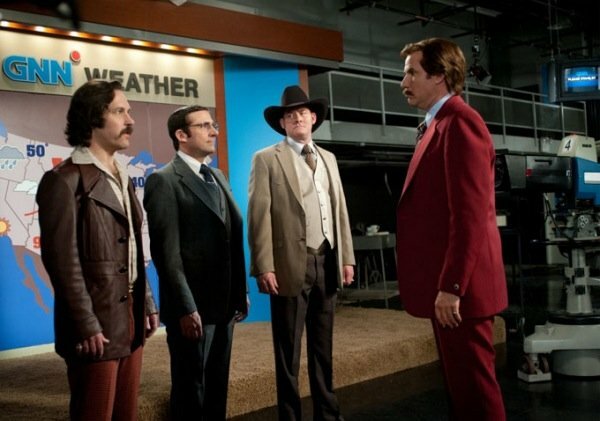 Thankfully, two new pics hitting the Web this morning remind us that we still have Anchorman: The Legend Continues to look forward to later this year. The images, shared via The Playlist, emphasize the ‘80s period clothing and styles that are sure to define the sequel. From what we know, legendary San Diego newsman Ron Burgandy and his team (which includes Paul Rudd, Steve Carell and David Koechner) are recruited for an experimental 24-hour news channel. Remember, this is the 1980s, and wall-to-wall news coverage is a thing of the future. Er, our present. Well, you get the idea. 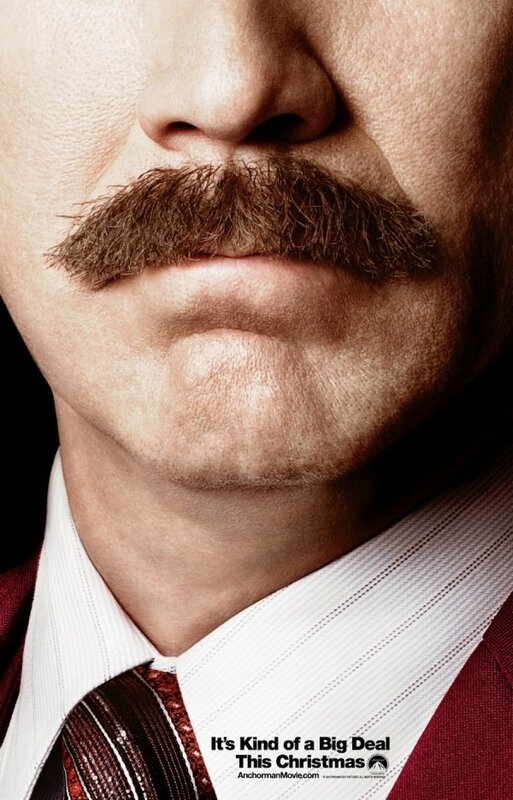 Anchorman is one of those long-gestating comedies we never knew if we’d see. 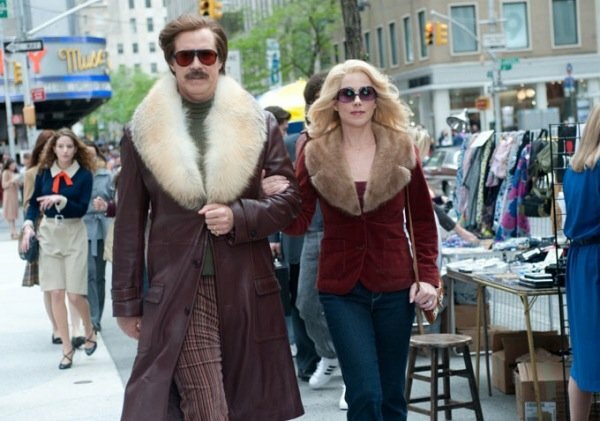 Ferrell so rarely does sequels, that Anchorman 2 seemed impossible, despite director Adam McKay’s ideas for moving the cast and characters into the ‘80s. When Paramount finally came to terms on a workable budget, the production was underway. And now we just have to wait for the film’s release on Dec. 20. What an early Christmas gift! As you can see by the trailer, Christina Applegate will be joined by several newcomers to the series, including James Marsden (as a handsome rival news anchor), John C. Reilly, and Kristen Wiig (as a love interest for Brick). Will the rumors of a Nicole Kidman cameo come true, giving us the Bewitched reunion no one was asking for? And just what role will Harrison Ford play in this sequel? Because none of us thought he had a funny bone in his entire body.